"Like every self-respecting cat, Sylvester starts the game with nine lives." In some games, Death Is a Slap on the Wrist. Occasionally, the game will go out of its way to explain exactly why this is the case. The most common Handwaves are "your characters are clones" and "the game is simply a re-telling of events that already happened." The latter will sometimes combine it with a Take That! to the player on the Game Over screen with your character saying things like, "Of course, it would have been incredibly stupid of me to do that." It should be noted that this isn't necessarily a good thing; players are so used to having extra lives or continues that the attempted explanation may only serve to emphasize an artificial scenario they'd otherwise have been perfectly happy ignoring by pretending "that didn't happen" and trying again. This is particularly true when the explanation is prone to Fridge Logic or unintended Fridge Horror. A form of Gameplay and Story Integration. Compare Justified Save Point. In Shadow Man, killing Mike LeRoi sends him to Deadside just like everyone else. Unlike everyone else, once there, he becomes Shadow Man, whose powers include the ability to cross back over to certain locations in the world of the living. Chakan: The Forever Man: Chaken's immortality works similarly. He can be killed, but it just brings him to his inter-dimensional hub where he can go right back to where he was. Similarly, the Soul Reaver games/portions of the Blood Omen games, Raziel dying in the physical world causes his corporeal body to dissolve and he returns to the spirit world, until he can find a gateway to create a new physical body. If he dies in the spirit world, he dies completely. Kain himself transforms in a flock of bats and reforms in a safer location. In Maximo: Ghosts to Glory, the title character has an offer from Death, where Death will return him to life as long as he continues to work towards resolving the imbalance in the afterlife. This deal is bound by a physical coin Death gives him, and if he runs out of these coins, Death can no longer restore him to life and must reap his soul properly. Amaterasu in Ōkami is the sun goddess, so she can return to life at the cost of a single unit of solar energy. If all the units run out, she can revive herself yet again if she has filled a special Celestial Pouch. Add a special item which can refill said Pouch instantly and you have a functionally immortal character. Aliens: Infestation for the DS has you controlling a four Marine fireteam, one soldier at a time. If one Marine is killed, another will take their place. There are a couple of wrinkles: if your fireteam is short a member or two, you can find other Marines to join your fireteam throughout each level (They'll refuse if you already have a full fireteam.) Also, if a Marine gets incapacitated by an alien, they're dragged off to a nearby lair instead of killed, and can be rescued. If they are mortally wounded again, however, an alien will burst out of their chest. In DuckTales: The Quest for Gold, Huey, Dewey and Louie's stages give you three chances; one for each nephew. So if you beat the game on your last life, does that mean the other two nephews were Killed Off for Real? Headlander: Partway through the game Earl reveals that you are a clone. Near the end of the game Methuselah reveals that you're not just one clone, but a series of them. Whenever one of you is killed, a new clone is teleported into its place. TRON: Evolution: Since you are playing as a computer program you are simply restored from backup whenever you die. In V2000, the manual makes the player one of a number of pilots who fly drone craft remotely. Stocks and manufacturing capacity are both limited, so priority is given to those pilots who prove the most effective against The Virus and penetrate the furthest into its domain. A magnificent example. One that falls apart as soon as hidden trophies start giving lives, but magnificent. The way Alien Shooter describes extra lives is this: the scientists have finally found the method to dodge death, so they give you several in the beginning and several additional lives during your mission, after you pay them loads of money. Tenchu uses the Ninja Log for extra lives—you didn't die, you replaced yourself with a log. It only works if you die by via combat or trap damage though, falling into a pit means you need to start the level over. Teenage Mutant Ninja Turtles for the NES gives the player control of each of the four turtles one at a time. If a Turtle runs out of life, April or Splinter will inform the player that he "got caught." This isn't a euphemism - if a turtle is defeated, he can be rescued in a later stage if the player can locate his whereabouts. In Brute Force the characters in your party are clones (of clones of clones). If a character dies (s)he drops a Memory Chip that contains their memories of the mission so far, which you can recover to make recloning them cheaper, which affects your final mission score. If everybody dies the whole squad gets recloned at the last checkpoint location and you can collect all of the memory chips to compensate for (most of) the losses. Gain Ground starts you with three playable characters. However, a number of other combatants were captured by the Supercomputer before the game began, and are trapped in the simulation. If you find one, touch them, and then lead them into an exit, you can use them in all following levels. If your character is hit, you can retrieve them with another one - but if a character is killed while escorting another, you lose the character being escorted for good. Drake of the 99 Dragons has Drake being functionally immortal. He can still be killed, but when he does he's sent to the realm of the guardians who resurrected him, who chew him out for getting himself killed before sending him back. The few continues/extra lives granted in Comix Zone are justified by the Big Bad Mortus being disappointed that Sketch went down so quickly, and offering him another chance so he can put up a better fight. Tex Murphy: Overseer presented the entire story as a flashback, with all player deaths handwaved by Tex: "Of course, I'd have to be an idiot to do that. Here's what really happened." In Under a Killing Moon, if Tex dies he meets God (the Big P.I. in the Sky) who explains that Tex is The Only One who can save the world and, since he's so special, God will bring him back "just this once". Of course, "just this once" turns into however many times you need. God will also comment on whatever boneheaded move got you killed. In The Secret of Monkey Island, protagonist Guybrush Threepwood can die (if you're really, REALLY trying to). However, in Monkey Island 2: LeChuck's Revenge, the premise is that Guybrush is telling a story to Elaine, so any death would be inconsistent with the fact that he's alive enough to tell about it. Still, in one scene, Guybrush is hooked up to a timed death contraption. If you fail to deactivate the machine within the allotted time, he drops into a vat of acid, at which point Elaine reminds him that he can't be dead or he couldn't tell the story. The game then returns you to the beginning of the contraption scene. The premise of Shadow of Destiny is your character using time travel to prevent his death; if you fail to do so you can just go back in time and try again. Note that it is possible to die permanently, by running out of time in the final level, touching your past self, or failing to return to the present when your time machine tells you to. You can still reload your saved game, though. Full Throttle, the story is told as Ben's backflash. If you die, he'll mention there's something wrong and let you try again. The framing device of King's Quest (2015) is old King Graham relating his stories to his granddaughter Gwendolyn. Being a Sierra game (kinda), there are plenty of ways to die, but every time it cuts back to a silhouette of Graham and Gwendolyn, usually with Graham saying something like, "Of course, if I did that, I wouldn't be telling you this story!" or Gwendolyn complaining, "Grandpa, you're telling the story wrong!" followed by a cut back to right before the death. Later episodes usually just have old Graham saying a terrible pun in response to the death. ''E.Y.E. : Divine Cybermancy has the player character equipped by set number of resurrector that resurrects him in place in case of death. Despite so, it's implied that lethal condition is still painfully traumatic, hence the debuffs. If the resurrector runs out or you fall into Bottomless Pits however, you are returned to the dream gate at the beginning, where you are told that it's just a dream, before walking through the gate and you'll put back to the fight. Alien vs. Predator on the Atari Jaguar had the Alien able to lay eggs in Marines. If you died, you would continue from the new alien that was hatched. In both System Shock games, this has to be turned on for each area by finding its BS-tech resurrection chamber. Initial incursions may be short and cautious until the chamber's discovery creates a bridgehead. Logs in the first game say that SHODAN re-purposed the healing chambers to make cyborgs out of the crew, which she will also do to you in the current level unless its chamber is reset. As a Spiritual Successor to System Shock, BioShock has the Vita-Chambers, which work similarly to the resurrection chambers. In-universe they reconstruct the user via Plasmids and quantum field entanglement if (and only if) they die of trauma as dying of old age or genetic disorders don't trigger the machine. The chambers can accept genetic keys to resurrect a specific person or anyone close enough and deny access to everyone else. This is why you don't see splicers ever using them. BioShock Infinite doesn't have Vita-Chambers: instead the respawns are Elizabeth dragging the Only Mostly Dead Booker to cover and reviving him. If Booker runs out of health in the sections where he's separated from Elizabeth there's a hallucination-like sequence where he appears in his office from the start of the game and walking through the door puts him back in the fight. The endgame Reveal explains this as Booker actually dying, and the Luteces recruiting an Alternate Universe Booker and starting the game's events over from the beginning offscreen - something they've already done dozens of times before the game starts. Left 4 Dead sort of uses this. Every time a survivor dies, he will respawn in a closet down the road and thank you for releasing him. The developers used this as a way to simulate how the survivors would find other survivors that were alive. In other words, if a survivor dies, you find an Identical Stranger with exactly the same appearance and personality a few minutes later. It's best not to think about it too much; really it's just a way for the game to avert Death Is a Slap on the Wrist without invoking permadeath. Only when he dies in the finale will the game consider him Killed Off for Real. In The Darkness video games, the Darkness itself will not allow Jackie to die even if he commits suicide. This is a plot point several times in the first game. Portal 2: While this is averted in the single-player campaign, the co-op gives a justification. The players are robots; upon "dying" their data and personalities are transferred to a new body and plunked back in with their buddy. The choice of using robots was actually to avoid Fridge Logic, and the horror of seeing a human character die in hundreds of really painfully creative ways. PlanetSide - The ancient Vanu matrix system allows for humans to be rebuilt at specialized facilities. When the planet detects that a soldier has died, it deconstructs their body and rebuilds them in a friendly facility. Borderlands and Borderlands 2 have New-U stations, which basically creates an in-universe respawn point for anyone registered in the system as it also uses the same tech to generate cars, weapons, and Hyperion robots. It's also implied to be the reason for the infinitely respawning enemies (and if you wait around long enough in the second game you can see bandits and other humans digistruct away). It's repeatedly lampshaded (the second game actually has a mission called "Kill Yourself" where the goal is to kill yourself for Eridium and experience points because you'll respawn afterward anyway) and a bit prone to fridge logic (in 2, the Big Bad is the CEO of the company who owns the New-U stations, which raises the question of why he doesn't just take you out of the system). Eventually, the concept of the New-U was retconned out of the setting and they're now simply a gameplay mechanic. Spider and Web: In this interactive fiction game, the framing story is that you are a captured spy being interrogated. If you died in your retelling, the interrogator would be cross with you and make you start over. More than just a way to explain extra lives, it's a story mechanic. You can't finish the story the first few tries - whenever you reach a dead end, you return to the frame story, where the interrogator demands you explain some action you took or item you were carrying; this lets you use them in the story you're telling. EVE Online explains this with clones. And actually goes for more realistic approach - when your ship has been blown up, you survive in an emergency escape pod. If you manage to get away in that, you only lose the ship and cargo. If the pod has been blown up as well - then the clone justification comes into play. You lose all the implants your original body had and all the skills that you have learned after the last time you updated your clone. In City of Heroes , the explanation is that every 'registered' hero has a teleport homer on them, that teleports them directly into an ultra high tech tube that revives them if they should be too badly hurt or rendered unconscious. In the original comics run from the earliest days of the game, the climax is made more dramatic by the bad guys having jammed said teleport homers. In addition, at least one mission deals with stopping bad guys before they can disable the hospital teleport system. The MMORPG Shadowbane explained the ability of characters to come back from the dead as something terribly wrong, but consistent throughout the world. Nobody could permanently die because everyone had Resurrective Immortality. FusionFall: The Grim Reaper is on your side, so he just revives all casualties at the last checkpoint. Older Than the NES: in the 1983 Atari arcade Shoot 'em Up/platformer hybrid Major Havoc, the titular Major Havoc has backup clones. Prince of Persia: The Sands of Time is presented as a story the titular character is telling. If you die, he'll say something along the lines of, "Wait, no, that's not how it happened, may I start again? ", allowing you to try again. Conker, titular hero of Conker's Bad Fur Day, has as many lives as he has tails. The grim reaper of his world, a tiny foul-mouthed skeleton named Gregg, explains the deal to you the first time you die. In Prinny: Can I Really Be the Hero?, you get 1000 lives to solve the puzzles. That's not one Prinny with 1000 lives, but 1000 Prinnies dying one after another. In the Futurama game, Professor Farnsworth's invention, the Re-Animator (no, not that Re-Animator), revives the player after every death. The game ends when the Stable Time Loop that starts the game results in the machine destroyed and the playable cast dead. Super Meat Boy seems to not justify this... until you get to Hell and see the hundreds of dead Meat Boys that you've gone through to get this far form into an angry boss. A later section also has Dr. Fetus kill Meat Boy in a cutscene...only for him to keep spontaneously reforming nearby (just like how he dies and respawns in-game) until Dr. Fetus gives up and runs away. Donkey Kong Country Returns uses balloons as extra lives like the original SNES games, except this time the game shows your Kong being carried back into the stage by the balloon if he is defeated. Dare Devil Denis for the BBC Micro gave the titular stuntman a limited number of takes before getting fired. This premise was later adopted by the Codemasters games Super Stunt Man and Stuntman Seymour. In Smurf: Rescue In Gargamel's Castle, you are given five nameless Smurfs to play as in your Endless Game mission to rescue Smurfette, with a bonus Smurf added at 10,000 points in the Atari 2600 version. Also, the instructions never say that your Smurf dies, but rather "gets tired" when he gets hit by an enemy, fails to clear an obstacle, or runs out of energy before entering new territory. Mega Man Network Transmission says that MegaMan.exe's extra lives are backups of his data. However, this is in violation of the canon of the parent series, which states that MegaMan can't be backed up, because his code is based on human DNA. In addition, dying isn't much of an issue because your patron deity's got your back (or your soul, at any rate) and will restore you to life once your mana has recovered to 25%. As long as your Altar is intact, a wizard can't die, and thus the main way to win in Sacrifice is to desecrate your opponent's altar to keep the wizard from reforming. In-Universe in Starcraft I, where Zealots don't die, they get teleported back to Aiur/somewhere else after Aiur falls to get put in Dragoon shells. In Neverwinter Nights, a character who dies is pulled back to the nearest temple of Tyr and gets a lecture from the head cleric about how they almost lost him/her that time. In the Hordes of the Underdark expansion, you get a magic relic that pulls you to a pocket dimension, and has limited charges (depending on how many Rogue Stones you buy) for the first two chapters. After that you don't have the easy respawn - you have to load a saved game. Done rather literally in Planescape: Torment, as the player character is immortal. Every time your mech is destroyed in Artix Entertainment's free Flash game MechQuest, you're told that you managed to eject. AE used this earlier in AdventureQuest. While losing a battle actually causes you to die and meet The Grim Reaper, he has always filled his soul quota for the day by the time you reach him. Dragon Quest: When a party member is killed in combat, the local Crystal Dragon Jesus is capable of reviving the character in an exchange for a donation. Phantasy Star II: When a party member dies, the dead character is cloned into a new being possessing the old one's abilities and memories. This also happens in canon at least once, as your entire party is killed in the crash of Gaila with the planet Palma, but Tyler had everyone cloned. Dark Souls: Because of the Darksign curse that's ravaged Lordran (and much of the surrounding world besides), you and most everyone you meet have been Dead All Along. The curse keeps an Undead alive even after they sustain lethal damage by restoring him or her to life at the last Bonfire they've visited. And while that's not SO bad, it has two drawbacks. First, resting at/getting resurrected by a bonfire causes almost every other Only Mostly Dead creature to come back as well. Second, Undeads will eventually go Hollow and start attacking anything non-Hollow. While the second doesn't ever clearly manifest in gameplay, it's implied quitting the game for good is equivalent to letting your PC go Hollow. Likewise in Dark Soul's Spiritual Successor, Bloodborne: In the intro you're given a blood transfusion and told that, whatever transpires, you may think it all a mere bad dream. Upon your first death, you're transported to The Hunter's Dream and enlisted among the Hunters, and every time that you die from this point onward, you'll wake up next to one of the laterns that are tied to The Hunter's Dream. As you progress through the game you'll also enter various Nightmares, and the other Hunters you encounter reveal that they, too, have been to The Hunter's Dream and know that you are, for all intents and purposes, unkillable. With all of these dream motifs in mind, it appears that death and sleep are, to various extents, interchangable in Yharnam, and whenever you die, you just go to sleep and awaken within a new dream. Conversely, what happens when you die in a dream? Why, usually you wake up... but if you're in a Dream Within a Dream then you just wake up to find yourself in another dream. At the end of the game Gehrman, who is the host of The Hunter's Dream, offers to grant you mercy, which will make you finally wake up for real should you accept. In Arx Fatalis you do not have extra lives, per se - but every time you die is revealed to be the ending of a hypothetical future timeline that you predicted when you saved the game and that only becomes locked once that save is gone. Therefore, all of your deaths are merely products of your mind. This ability is unique to the player, specifically, to all Guardians, of which the player is the only one in this world. The first time you die in Final Fantasy Legends II, you arrive in Valhalla, where Odin agrees to resurrect you as long as, at some point in the future, you fight him. After that, each time you die, Odin brings you right back where you were. You fight Odin near the end of the game. After he dies, you have to reload a saved game following future deaths. Nanashi in Shin Megami Tensei IV: Apocalypse is backed by a Celtic God who can resurrect him as many times as necessary whenever he's killed, no penalties and no disadvantages whatsoever... Which is very weird and way too generous for a Shin Megami Tensei game. Granted, there is a plot-relevant reason of why this even happens. Dagda: "You are my Godslayer. I will resurrect you again and again, every time you fall. So go ahead. Throw your life away with reckless abandon... Hahaha..."
The Player Character of NieR: Automata is an android with a Body Backup Drive at her base of operations. You save the game by updating this backup when you're connected to it. When you die in most situations, her mind is uploaded into a new body that's sent to the last save point (minus certain gear that you'll have to retrieve from her destroyed body). If you die in a situation where this isn't possible (such as destroying said base by using her Self-Destruct Mechanism while inside), you get what is technically an "ending" (complete with credits) and your unsaved data is erased. Stargunner tries to explain its extra lives by claiming that they're actually some sort of warp devices that activate automatically when you die and proceed to "teleport you to the closest compatible parallel dimension". Ray series like Ray Storm and Ray Crisis have varying degrees of justification. 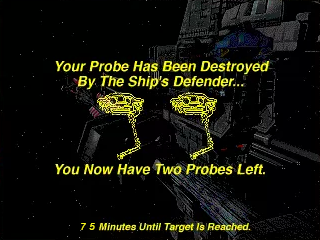 On Ray Storm, you can clearly hear the radio voice upon your death(s) saying "Ray 2/3 to continue present tactics." Yes, it's not so much that you have extra lives, it's that We Have Reserves. Ray Crisis, on the other hand, takes place inside an immersive AI construct of a cyborg called Con-Human, and your fighter really is a virus designed to wreak havoc. Presumably then, your lives are the number of times the virus can regenerate after the Antibodies have killed it. Thunder Force V's story introduced it as a cloning system called "Circulate Death"
Walker justifies this by each of your three lives being a different mech. They are even referred to as Walker One, Two and Three. Hellsinker's manual says that extra lives are due to the [LIFE] system, which excised the concept of being alive, and split it into seven parts. Of course, this being Hellsinker, it's not clear how seriously this is meant to be taken. Knightmare is a nice little shooter by Konami for the MSX computer systems. In it, you control a knight called Popolon, who's out to rescue Aphrodite. He is visited in a dream by Hera, who shows him the way to the castle where Aphrodite is being held prisoner, and in the morning he sets off in his quest. You never see it in game, but the manual states that each death is actually a nightmare the knight had after that prophetic dream. Only when he completes his quest is Popolon actually awake. SimAnt allowed you to be reborn as another ant if the ant you controlled died. Metal Gear Solid 3: Snake Eater stars Naked Snake, Solid Snake's "father". Whenever he dies (or takes certain actions), he creates a "Time Paradox", preventing Solid Snake from being "born" and/or the earliest Metal Gear games from ever happening. It's up to the player to ensure that doesn't happen, making the whole game feel kind of like a Wayback Trip in a meta sort of way. Assassin's Creed combined a Framing Device with Call a Hit Point a "Smeerp" to explain this. The player character is plugged into a machine that "synchronizes" them with past Assassins' genetic memories. When you take damage, the visuals start to glitch up to indicate that the ancestor didn't take quite so much of a beating (in Assassin's Creed I, this happened whenever Altair took a hit, while later games turned the visual indicators into a substitute for Critical Annoyance). Getting killed (or killing civilians) earns you a "desynchronized" message, and you have to access the memory againand survive it this time. Iron Helix: In the form of remotely-controlled probes. You get three of them, if one runs out of power or gets destroyed by the security drone, another will automatically be activated and sent in. Lose all three and, well, Game Over. In Paranoia, each character is actually six identical clones (officially referred to as a "six-pack" and usually tracked with one), to get around the fact that any imaginable action or thought is treasonous (and treason is a capital crime). Alternity: AIs have backups stashed somewhere on The Grid. Car Wars featured 'life insurance' in the form of Gold Cross. For a modest fee, they'll grow a new clone from your corpse, or keep one as a backup. Transhuman Space allows "digital characters", such as ghosts and artificial intelligences, to store backups of their code on other servers so that they can be restored to life. Eclipse Phase allows anyone to make digital backups of their consciousness that can be "resleeved" in a new body (though you need to pay for it or you could end up in whatever cheap morph Firewall found for you). There are also cortical stack implants that can save a character's memories up until death. In Brute Force, a dead player is replaced with a clone created for the purpose. This is expensive. Lampshaded in a few places, such as when your commander tells someone to prepare a backup clone just after ordering you to jump through an untested teleporter without knowing where it will go. 'Lives' in Total Overdose are called 'rewinds', and results in the action winding back from death to allow more survivable choices — sort of like an instant internal Retcon. If the player is painted irreversibly into a corner anyway, that just displays how many ways the character can die, until you're out of rewinds. The flash game Dino Run calls lives "time shifts". And the game pause "time freeze". The platformer Liferaft: Zero's protagonist is a female test subject with TONS of clone-sisters backing her up, all eager to go out and get that candy. The Destroy All Humans! series replaces each dead player character with a sequentially numbered clone. Crackdown features clone replacements. In fact the "Extract" option just instantly kills your character and pulls up the menu to choose where you want to respawn. It's only the loss of your current progress towards the next upgrade level that prevents it being a better method of transport than driving to get across town. A Collection Sidequest in the third game has you collecting DNA from dead agents so their bodies can be cloned. Spore: The Cell and Creature phases show that every time you die, you emerge as another member of your species, ready to continue. The Space phase explains extra lives as a combination of "advanced cloning technology" and "emergency consciousness transferal", having you re-emerge as a freshly-cloned pilot with a rebuilt ship after dying. If you happen to explode on your own planet, the pieces of your old ship will still be falling from the sky as your new ship flies up through them. After you die in Starbound, a cutscene plays showing a clone of your character being created back on your spaceship. The cutscene is different for each playable race. In the world of Scrapland, there's a machine called "The Great Database", which stores the matrixes of every robot in the City of Chimera in it, and revives them should they die. That said, you have to pay Bishops in Chimera to buy extra lives, because if you die without any, you'll regenerate in a holding cell in the Chimera Police Department. The Legend of Zelda: Breath of the Wild uses this trope not for Link, but for the Respawning Enemies. Because of Calamity Ganon's curse over Hyrule, every now and then a "blood moon" will occur - at the stroke of midnight, the moon will shine red and all of the monsters killed across Hyrule return to flesh. If Link is unlucky and unaware of his surroundings, the blood moon can happen while he's in the middle of an area he just cleared - and the enemies he just killed will return to life.